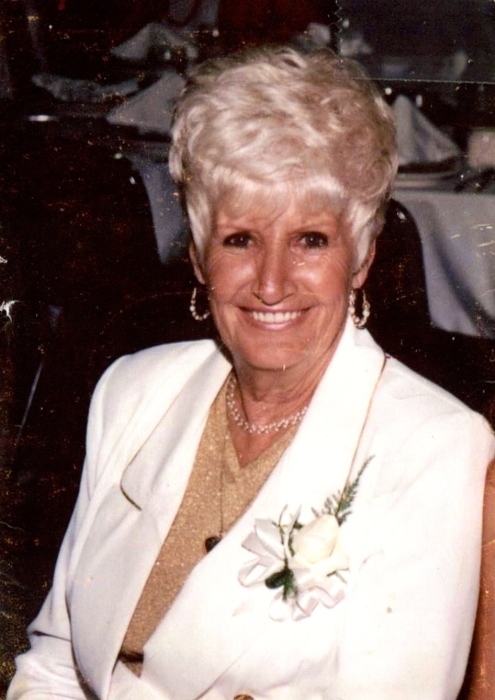 Norma Jean Dickinson age 86 of Portage, formerly of Whiting, passed away on Tuesday March 19, 2019. She is survived by her children Angelo (Joyce) Rosaschi Jr., John (Sue) Rosaschi, Ricky (Susan) Rosaschi, Cheryl Gibson, Raymond Rosaschi, and Jeannie (Peter) Webster; grandchildren Lisa, Dannielle, Angela Joy, Jonathon, Bobby, Crystal, Jason, Melissa, Melanie, Tina, Sebrina, Eric, Ethan, Sarah, Justin, Meagan, Jeannie, Gavin, and Natalie; 35 great grandchildren; 5 great great grandchildren with one more on the way; brothers Wayne (Bedie) Sandefur and Don (late Janice) Sandefur, and by her numerous nieces and nephews. Norma was preceded in death by her parents Ray and Lauristene Sandefur; Step father Strother Lee Townsend; daughter Pam; granddaughters Sherry Lynn Averette and Madalin Rosaschi; and by her brothers Curtis, Charles, and Bobby Sandefur. Funeral services will be held on Friday March 22, 1019 at 10:00am at White Funeral Home. Entombment will follow at Graceland Cemetery in Valparaiso, IN. Friends may meet with the family on Thursday March 21, 2019 from 4-8:00pm at White Funeral Home located at 921 W. 45th Ave. in Griffith, IN. Norma was formerly employed by American Maize (Cargil) in Hammond, IN. She loved dancing, playing BINGO, and going to the Boats.